Lifelong Learning: Back To Ancient Egypt? Ancient civilizations have always been one of my favourite topics. Generally students are interested in learning about them, but as with any topic it can be difficult to maintain student interest and engagement throughout a unit. My solution? Time Travel. If only it were possible to actually take students back in time on a field trip to ancient Egypt, I daresay there would be no daydreamers or nap takers then. But in reality teachers have to do their best to bring history to the classroom. 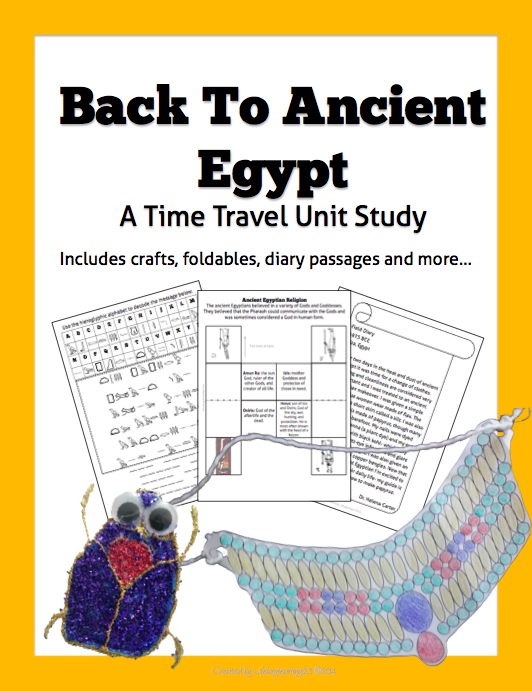 Recently I created a Daily Life In Ancient Egypt: A Time Travel Unit Study to meet this need for supplemental materials and a fun and engaging framework for an ancient Egypt unit. This unit provides a general overview of daily life in ancient Egypt in an engaging way that presents the information as a fun narrative. Students are transported back in time to ancient Egypt and produce a hands-on notebook with interactive components. They follow the diary entries of archeologist 'Dr. 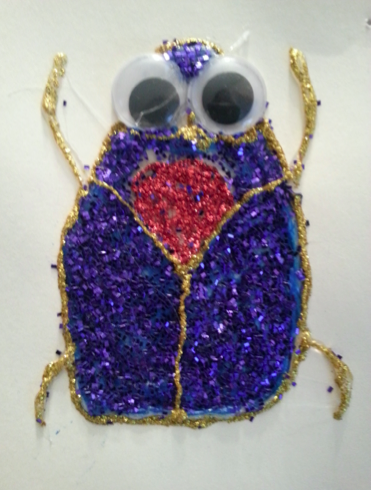 Helena Carter', creating crafts, foldable items, and other activities for each entry and topic. The diary portion is optional and the activities can also be used as stand alone items. This allows teachers to pick and choose for differentiation. It is perfect to use as a supplement with resource books and videos each day. 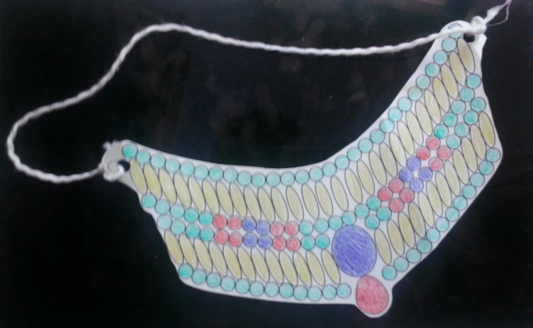 Create your own weseka necklace. Accompanied by an entry about ancient Egyptian clothing, appearance, and jewellery. 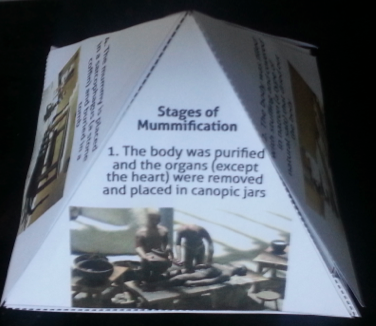 Stages of Mummification foldable pyramid. Scarab craft- accompanied by a foldable information sheet about the symbolism of the scarab. In the diary narrative a mysterious shiny scarab is also our time-travel device. I'm going to be giving away this product to two readers. Enter using the rafflecopter below. Everybody likes a nice surprise on a Monday so the draw will end at 9:00 am on the 23rd. We love to study Ancient Egypt.